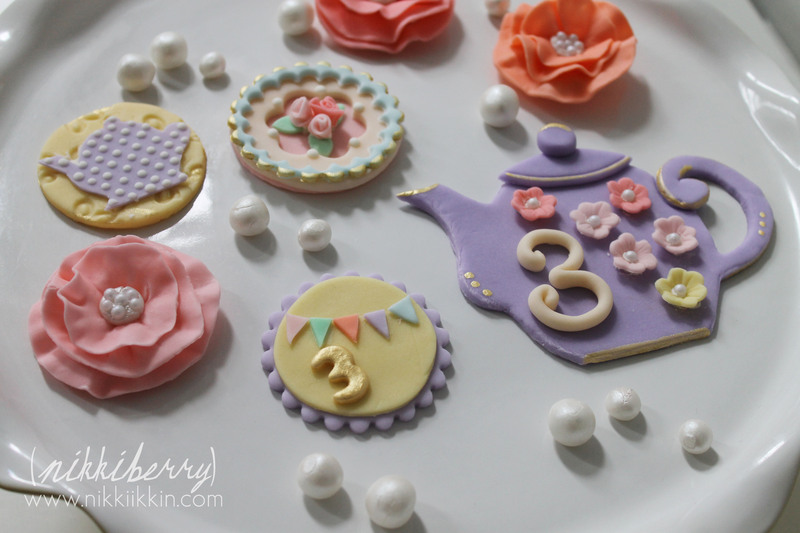 I am so ecstatic to share these beautiful tea party treat toppers. 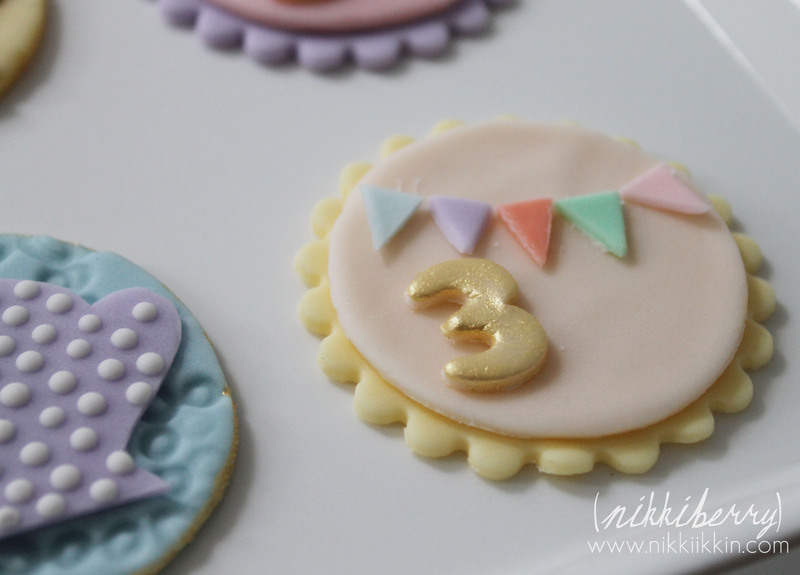 Michelle at Daydream Believers, a fellow mom, blogger and crafter extraordinaire asked me to design treat toppers and cake decorations for her daughter’s 3rd birthday party. Since we speak the same birthday party language, it was a lot of fun working out the details for the toppers with her. 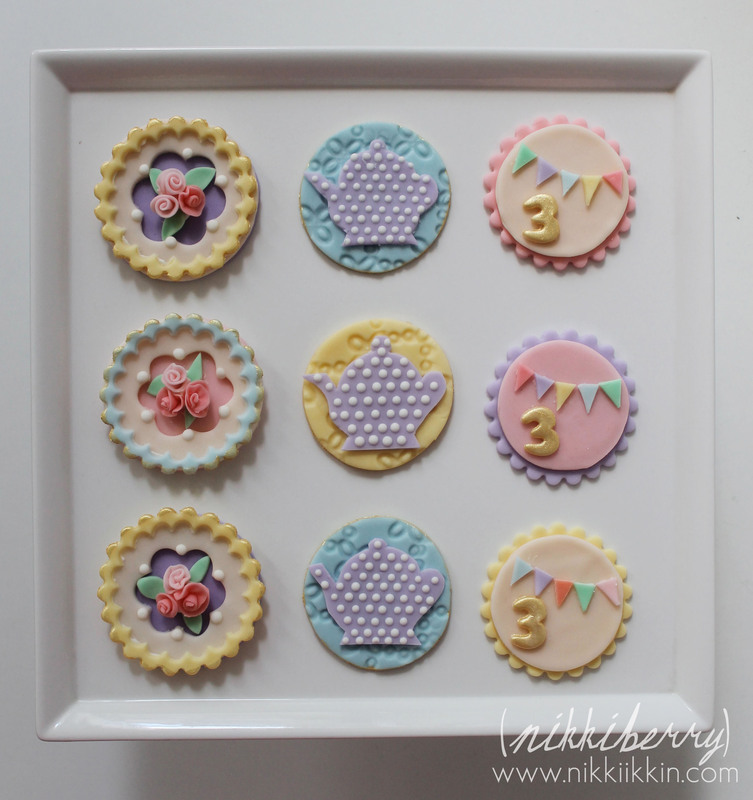 Michelle used the toppers I sent to add to her own fresh-baked treats and cake, you can see her party on her site HERE. All of the toppers were made from fondant dried hard enough to ship and still yummy to eat. 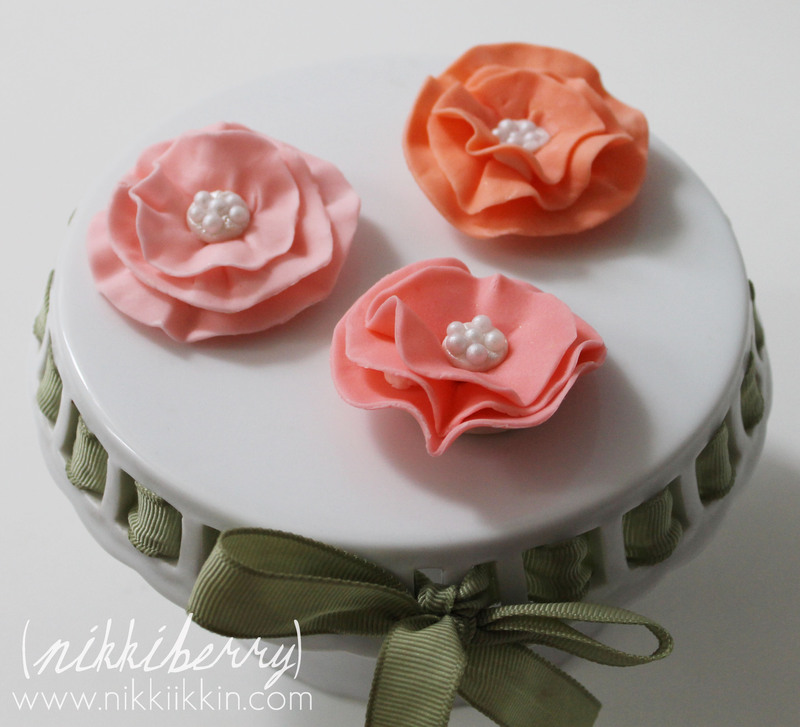 I presented Michelle with 8 sketched topper ideas, to which she chose these 3 styles. Each one was a piece of art! 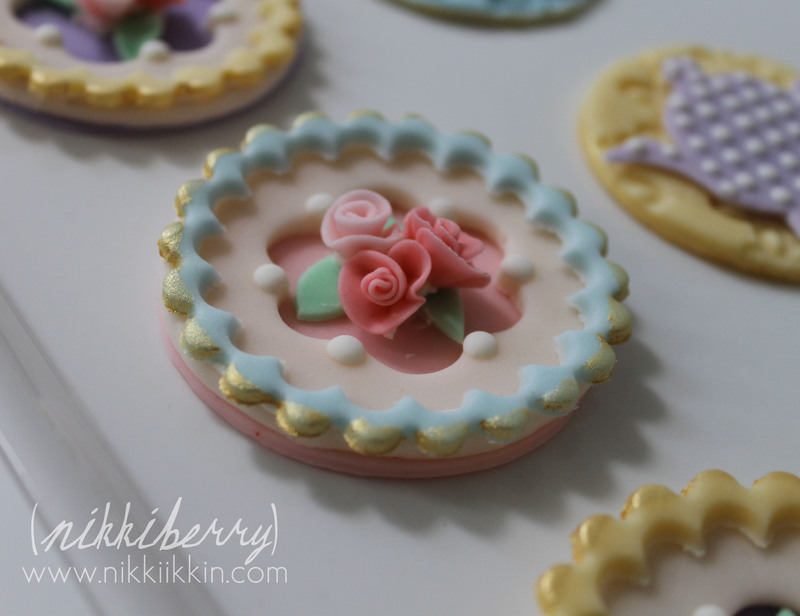 The most traditional and elaborate topper was compiled with 3 layers of fondant and tiny hand rolled roses. So exquisite! To add an element of formality and sparkle I painted details of golden luster dust on each topper. 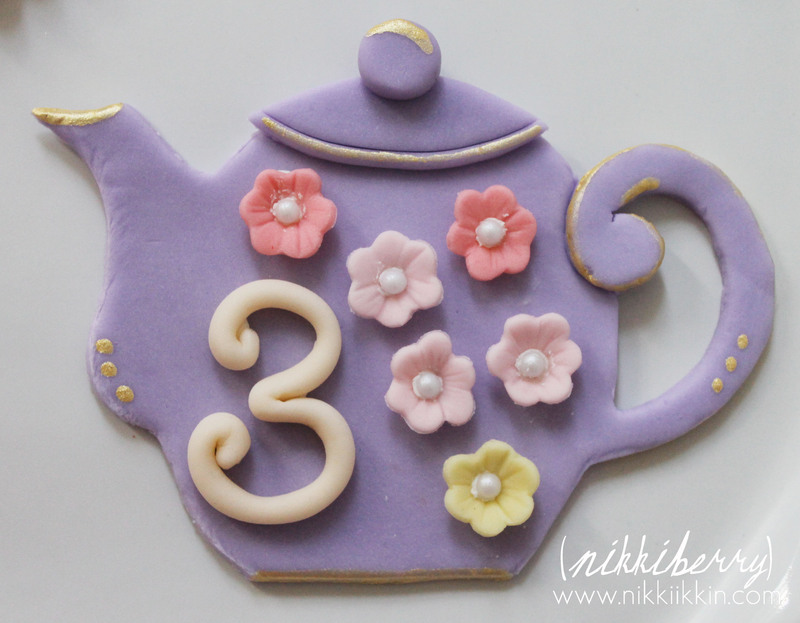 The larger teapot was for the cake, Michelle added it to a Bundt cake. 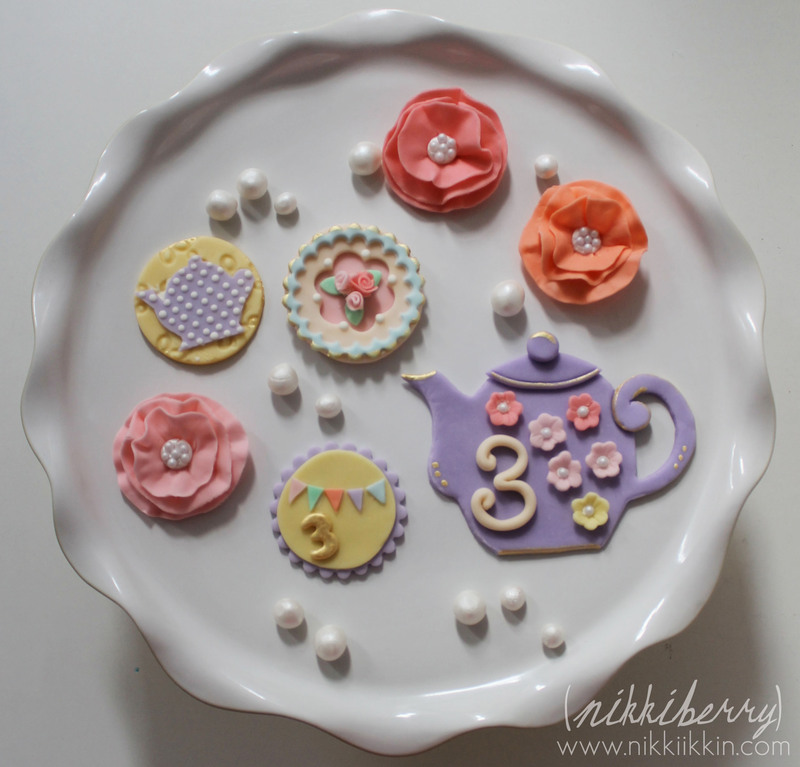 I found this a very fitting cake style for a traditional tea party. I also made oversize pearls painted with pearl luster dust. Inspired by the beautiful colors that I mixed for the toppers I couldn’t help experimenting with some flower techniques, the results were these beautiful brooch like blooms with pearl nonpareils centers. Just because you don’t have cake artist in your town, doesn’t mean you can’t have beautiful sweet treats at your next party. 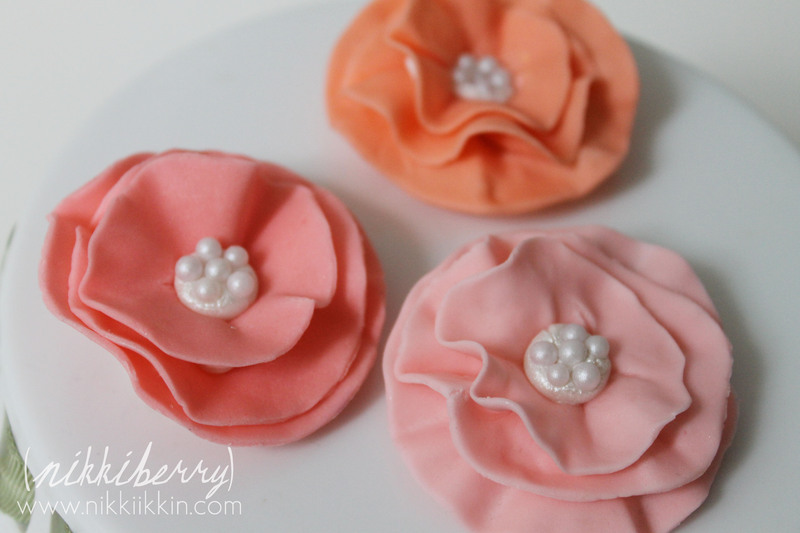 Ordering fondant toppers from an Etsy seller is very easy to do! 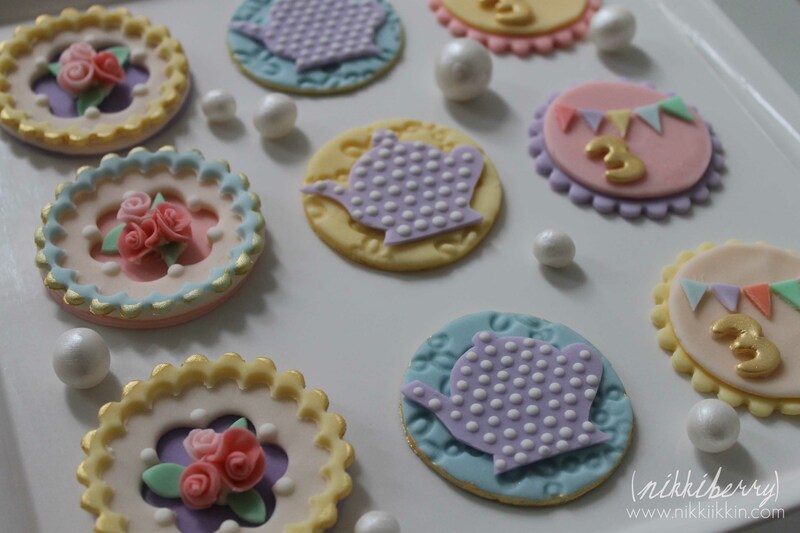 Please contact me at nberryid at gmail.com if you would like to order toppers or cake decorations of any kind.